Once, when staying at Kasane, we drove to Ihaha Camp and I declared then and there, that I would camp here. A year later we did and it was amazing – I will go back. Last visit was in September 2015. Plenty of Roan and Sable Antelope. 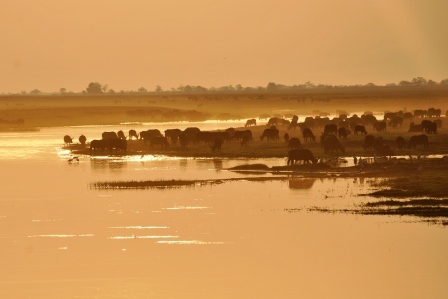 Ihaha Camp is situated on the Chobe River in the Chobe National Park and about halfway from Kasane to Ngoma Bridge (border with Namibia). You can either enter the park at Kasane or Ngoma Bridge and just follow the river until you get to the camp. You can’t get lost. There are a number of campsites all situated on the river banks. Each campsite has a braai, a concrete table and firepit. A tap is close by. Two ablution blocks serve all the campsites, these are kept clean and well maintained. It is necessary to drive to the ablutions at night owing to the possibility of dangerous animals. A 4×4 is necessary to get to the camp. You need to be equipped with food, drinks and fuel as nothing is sold here, but Kasane is close enough if you forget anything or run out. 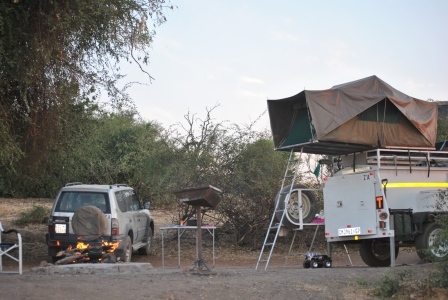 There have been cases of Namibians coming across the river and stealing from campers. The area is now well policed and the army patrols along the river. We had no problems and felt very safe. Stick along the river for game drives, especially in the late afternoons – the game viewing is spectacular. Apparently campsite 2 has a problem with baboons – but that is where a leopard was seen during our stay. Do yourself a favour and go stay at Ihaha.